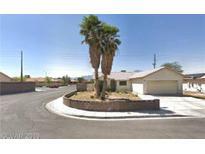 Below you can view all the homes for sale in the Casa Linda subdivision located in North Las Vegas Nevada. 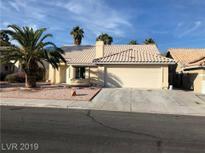 Listings in Casa Linda are updated daily from data we receive from the Las Vegas multiple listing service. To learn more about any of these homes or to receive custom notifications when a new property is listed for sale in Casa Linda, give us a call at 702-323-5963. Completely remodeled ***Corner house ** 4 Bedroom 2 baths single story house .CONVENIENT TO RESTAURANTS, SHOPPING, SCHOOLS, FREEWAYS, PARKS AND SO MUCH MORE!! New appliances !! !move in ready ! ! MLS#2086208. BPM Realty. Kitchen has extra large quartz island and brand new cabinets. Low maintenance yard MLS#2084223. Vegas International Properties. Easy Access To Shopping And Freeways. MLS#2083156. Win Win Real Estate. In Proximity To Shopping, Restaurants, And Entertainment. MLS#2082361. Petra Realty Group. Room will be cleared at COE MLS#2081954. Executive Realty Services. Gourmet Kitchen, Dishwasher, Gas oven, Ceramic tile floors, double fireplace, Vaulted Ceilings, Patio with ceiling fan, and Separate Laundry Room. MLS#2079990. Realty Executives of SNV. Don't let this great home go as your buyers will not be disappointed! 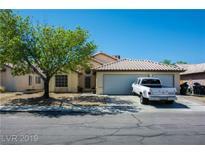 MLS#2080421. Realty ONE Group, Inc.
Grand master suite w/ spa like retreat! Move-in ready!! ! 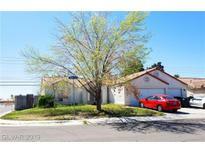 MLS#2076846. Maxim Properties. 35 ft RV can fit if the 2nd gate is opened up. MLS#2075455. Urban Nest Realty. No HOA. Nestled nicely in the neighborhood. MLS#2073550. BHHS Nevada Properties. All appliances stay including washer and dryer. MLS#2073717. I Realty. Lot is fully fenced this RV gate, MLS#2067128. BHHS Nevada Properties. This home also features a breakfast bar, large master bedroom, jack n Jill bed/bath combo, 2 car garage, private backyard and a more than 6,000 sq ft lot! MLS#2056959. The Real Estate Friends. Home comes with a 30-day buyback guarantee. Terms and conditions apply. MLS#2054314. Opendoor Brokerage LLC. Amazing Single Story Home With Three Car Garage*bright And Airy*vaulted Ceilings*front Living Room With Two-way Fireplace*oversized Kitchen With Upgraded Granite Countertop*build-ins In Two Of The Bedrooms*pebblestone Covered Walkways, Patio And Garage Surface*great Potential* MLS#2032878. Alajajian Properties. Property has a lot to offer landscaping and trees,concrete and footings,great condition stucco,fresh paint exterior,cleanup pool,fresh paint interior,all studs and roof trusses great shape,all rest of roofing in great shape! ! MLS#2003353. Turn Key Property Solutions.